Husband and wife team, Phil and Michelle Crick, based in Adelaide, South Australia, offering personalised training plans to athletes of all ages and abilities to help you achieve your racing and recreational goals. Catering for athletes in three different countries, we are able to coach you remotely from anywhere with an internet connection. Our main philosophy is to provide coaching and training based on the latest sports science, with regular athlete consultations to determine what's working and make adjustments where necessary. We make extensive use of technology to help our athletes achieve their goals, we use WKO software to help us build fitness profiles and identify strengths and weaknesses and then prescribe training to address those weaknesses.Training is structured following proven methods, but flexible enough to work around your every day life. Phil works mostly with adult athletes, particularly those that race up to and including elite level. Success. Coach Phil Crick has been notified of your message. 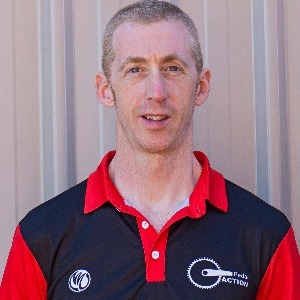 To hire Phil Crick as your coach, select the coaching service that is right for you.